Migos, Nicki Minaj and Cardi B have shared the visual for their song “MotorSport.” You can see the video above. The song is the first to be taken from Migos's forthcoming album Culture II. The Atlanta trio first began teasing the video, directed by Bradley & Pablo alongside Migos's Quavo, in November. The first Culture was released in January. Its follow up is reportedly due in January 2018. 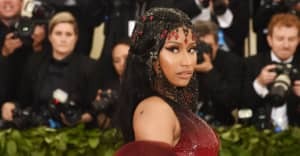 Nicki Minaj recently collaborated with Lil Uzi Vert while work on her own next album continues. Cardi B, meanwhile, is nominated for two Grammys and is expected to release her studio debut in 2018.